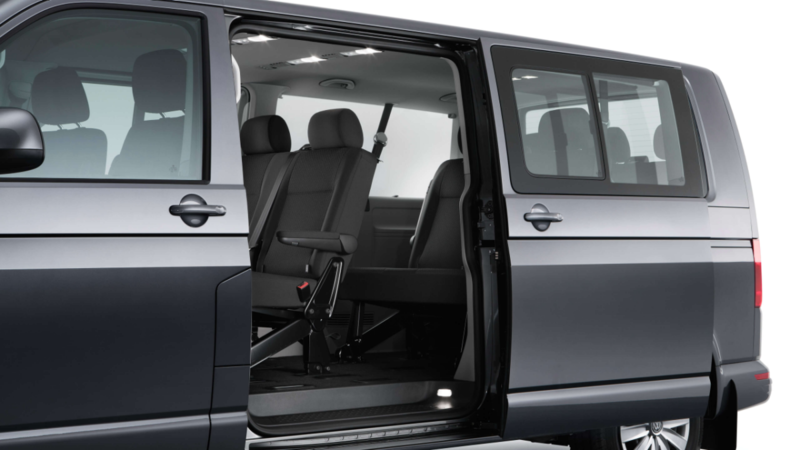 Practical by design, the Volkswagen Caravelle is one of the largest people-movers around, designed to get you where you need to be whilst never comprising style. Built to get the job done, the new Caravelle is precisely designed to impress during daily use to deliver with accuracy and flair. The intelligent design allows for multi-purpose use with complete ease that will never slow you down. Designed to suit almost every journey, this multi-purpose people mover stands tall and proud, ready to get the job done. Functional and adaptable, the Caravelle can be designed to fit almost any job. Unleash its potential with upgradable exterior options, such as dual halogen headlights, rear privacy glass and front fog lights with static cornering capabilities. Getting in and out is a breeze, with the electronic sliding doors that come equipped with a number of electronic trapping protectors, the electronic doors can be operated by either remote control or from the driver’s cab. Designed with purpose, the Carevelle stands out from the crowd and always get the job done. Spacious, ergonomic and brilliantly designed. Get the job done, without compromising comfort. 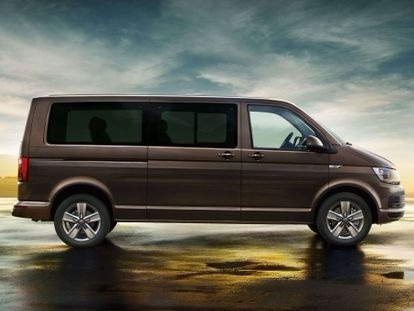 It’s first class luxury makes the Caravelle a people mover built for pleasure. The precisely thought-out design is built like a cockpit and offers extensive storage options which help when you’re planning a long work day or journey. Built to impress, the practical design understands your needs with various storage options, compartments and holders to make the interior a workplace wherever the day takes you. Valuables can be safely stored in the lockable glove compartment, while important documents can be neatly filed away in an A4-size compartment. With everything readily available, you can focus on getting the job done. Capable of handling any task no matter how big, the Caravelle is agility at getting you and your cargo where it needs to be. Powered by the new generation of TDI engines, which offer excellent fuel economy while delivering enough power to never hold you back. 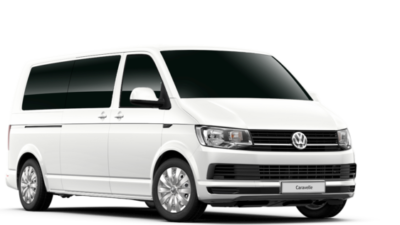 Seamlessly manoeuvre with the smooth transitioning of the Caravelle’s 7-speed duel clutch DSG gearbox, which allows fully automatic, unnoticeable gear changing. The innovative gearbox allows for uninterrupted power flow and a significantly increased driving experience. 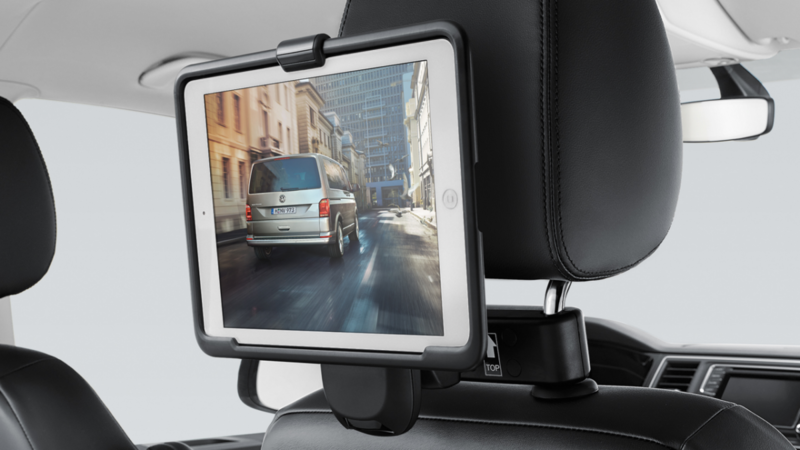 Enjoy a range of practical technology designed to allow you to complete any trip in comfort and with efficiency. Drive smarter with the innovative BlueMotion Technology, which offers a variety of fuel efficiency options. BlueMotion combines a range of functions, including the engine stop/start system that automatically shuts down the vehicle to reduce fuel consumption or the Coasting Function that allows the vehicle to coast and roll for a longer distance. Always impress and never compromise comfort with “Climatronic” 3-zone air conditioning that lets you control the temperate for the driver, front passenger and passengers in the passenger compartment. 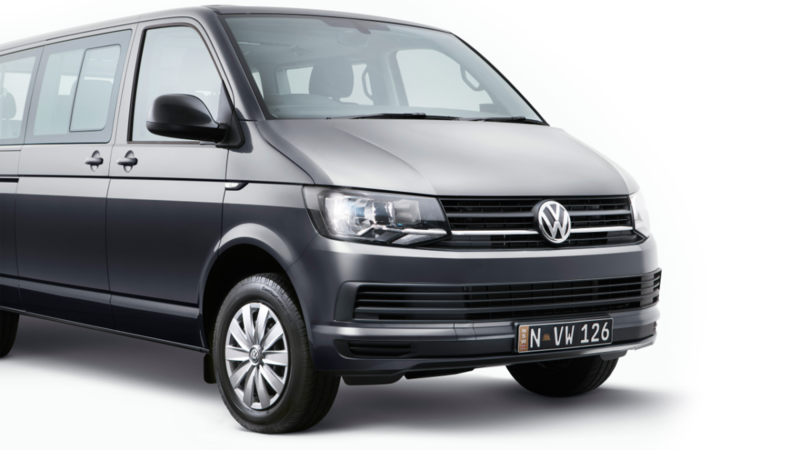 The Caravelle is the ultimate people-mover that offers personalised comfort to suit passengers and drivers alike.